You know those stories people tell, those who were there in the beginning of something that became a revolutionary change in the world. They love to look back and tell about the struggles of the early days, how it almost didn't happen. Then there are those people who were on the fence, but later secretly wished they had joined. Those changes rarely happened overnight. They usually take years, sometimes decades. Apple Design, Burning Man, how many startups with 3 or 7 or 14 employees that went on to become household names. You know these stories. The Media loves to write about these people years after their hard work and make it seem like it happened overnight. 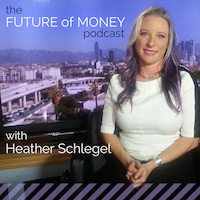 I know The Future of Money TV Series will shift our culture and understanding around money. I've put in almost 4 years of my life researching the changes - most of this unpaid - driven by my passion and fascination of what is emerging. I put everything in my life on hold (my Master's degree, my personal life, even my relationship at the time which crumbled under the pressure) when I went to work for Innotribe, the innovation division of Swift, as an attempt to directly make change in the industry. Now, I am taking the story to the public. That's what the Future of Money TV Series is all about. A positive vision of the future - but not just the philosophy and economics - the practical ways you can act every day to create the world you want to live in - through each transaction. I am driven and this is going to happen one way or another. I am tenacious and do not give up. I am ambitious and I can't help but think big. I want to make this series. I want to share this information with the world so we are informed and empowered to act in a way that creates the world you want to live in. This is going to happen. The only question I have for you is: Will you be there? Will you join me in the beginning? Yes. It may take years to appreciate what really transpired at beginnings. Being younger and single, I took a leap of faith and joined a 30 people small daughter company of a German enterprise in Asia. 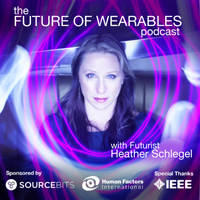 I shifted my personal vision to include "a world free of accidents caused by technology". 20 years later we were 3000 people working in multiple siblings in Asia. On the way I had met my wife-to-be at Tokyo PC User Group. Looking so forward to seeing your story grow.